3 In the ocean, humans create many noises. These noises disturb the waters. People do not know that manmade sound harms the creatures living in the sea. In the end, disturbing the ocean affects each one of us, as the sea creatures disappear. 5 At noon September 19, 2000, all the boat engines stopped. Their propellers ceased turning. The machines drilling for oil on the seabed, were also silent. 6 Far away, in Greenland,a fisherman threw a netoff a little boat. Everything was quiet now. In that deep silence, Amo stood on the beach. 7 As manmade noises ceased, quiet returned to invaded waters. Amo listened to the ocean. 8 From the waters of ancient times, the first sounds of the sea were heard. 9 Noise pollution caused by humans disrupts the egg-laying of sea turtles. They abandon their traditional habitats and look for new places of peace and quiet. 11 Far away,in the warm southern waters, corals reached towards the light. It s as though they had woken from a nap. Corals in shallow water or mangrove trees along the coast are nature s protective walls. Not only do they shelter small marine life, they also shelter the land. Destroying corals and mangroves is removing barriers that protect us from storms and tsunamis. 12 A baby dolphin and its mother Please don t leave me, Mommy. were swimming side by side, hearing each other s voices. I will never leave you.i will always stay close. 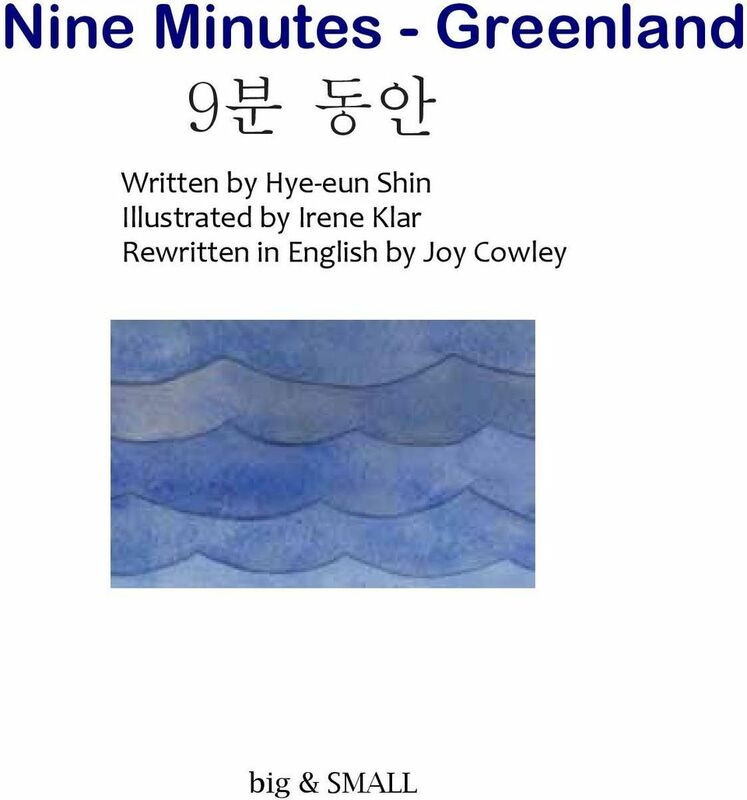 13 In Greenland, as Amo listened to the sounds of the water, he felt a part of the ocean. It was a feeling of peace. All life began in the arms of the great Mother Ocean. 15 A baby dolphin swam to the shore. Amo said to it, Where is your mother? He could not leave the baby by itself. Until the sun set, he stayed with it, waiting for the mother to return. 16 The baby dolphin s death was caused by the navy s sonar. Sonar affected its sense of hearing. Unable to return to the ocean, a bottlenose dolphin died on the Thames River in London. In 1994, the number of dead dolphins along the English coast was 360. In 2004, that number was 782. Currently, groups of dolphins have been found dead on beaches all over the world. The main cause of death is believed to be the use of sonar. 17 No one knew that the baby dolphin was waiting for its mother to return at the far away shore.